David has been with Peak Roofing since November 2010. He is one of our lead estimators and his experiences in the industry include delivering shingles and repair technician as well as a devoted son of a lifelong “Roofer”. 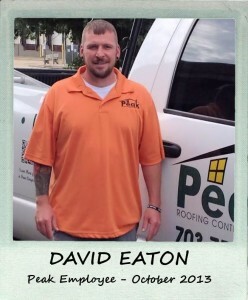 David is quick witted, a great storyteller and a valued member of the Peak Roofing Contractors team! 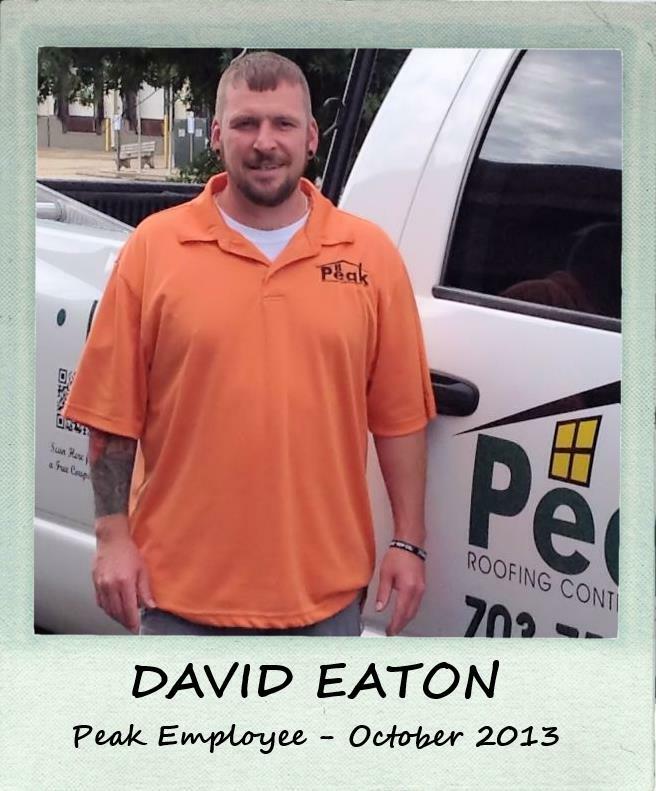 Give us a call @ 703-745-5153 to request an estimate with David and discuss all of your exterior needs and you’ll receive $50 off any Peak Roofing Contractors service. You won’t be disappointed!